Prosecutors question Maria Butina's ties to the U.S. and highlight Russian efforts to win her release. WASHINGTON — Prosecutors in the case against Maria Butina, charged with being a Russian spy, are opposing her release on bond, calling into question her ties to the U.S. and highlighting Russian efforts to win her release. Those efforts have included six consular visits with Butina, delivery of four diplomatic notes to the State Department, and direct complaints to Secretary of State Michael Pompeo by Russian Foreign Affairs Minister Sergey Lavrov, according to a court filing. “The official Kremlin Twitter account changed its avatar to the defendant’s face and started a #FreeMariaButina hashtag,” prosecutors said. Butina’s prosecution has also been criticized on the Russian-controlled RT television network. Butina, a gun-rights advocate who came to the U.S. on a student visa, has been in custody since her July arrest after prosecutors alleged that she had ties to Russia’s intelligence services and oligarchs capable of providing her a way out of the country. She’s accused of trying to establish back-channel connections between Russia and the U.S., and has denied any wrongdoing. Prosecutors say that while at American University in Washington, Butina tried to make contact with two presidential candidates and exert influence over politics through prominent conservative groups, which media accounts have identified as the National Rifle Association and the National Prayer Breakfast. Prosecutors also contradicted defense assertions that her relationship with an individual identified as “U.S. Person 1” would keep her in the U.S., should she be released. That person is believed to be conservative political operative Paul Erickson, which Butina’s lawyer, Robert Neil Driscoll, seemed to confirm when he shared photographs of the pair together and video of the two singing the theme song to the Disney film “Beauty and the Beast” during an interview with ABC News. 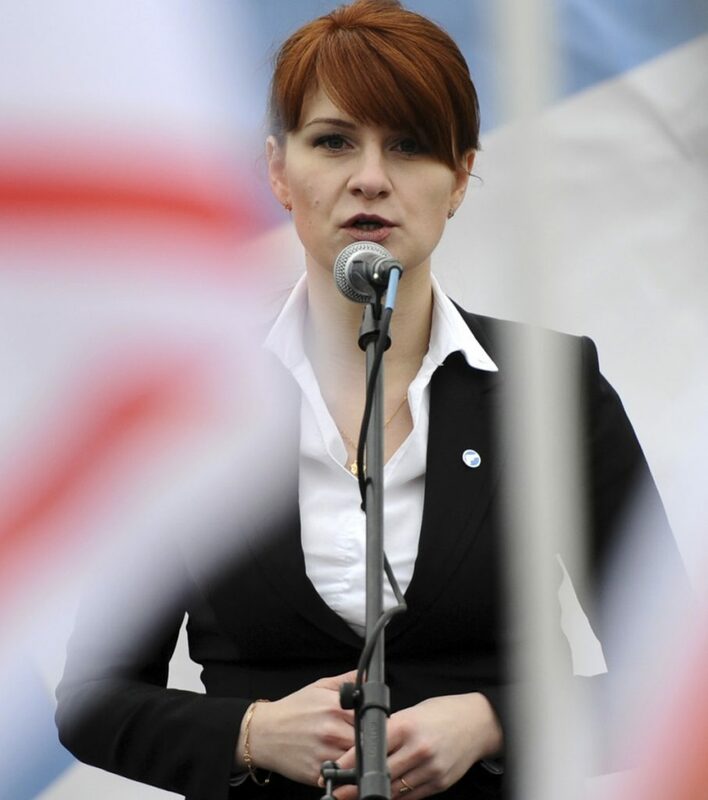 Despite their apparent close relationship, Butina recently offered to provide information about Erickson’s illegal activities, according to the government. “Although the defense contends that the defendant is in a committed relationship with U.S. Person 1, she recently offered to provide information to the government about his illegal activities,” prosecutors said in the filing. The case has received substantial media attention, leading the prosecution to ask the judge for a gag order in the case.